The month of June did see a slight dip compared to a year ago but was still better overall compared to 2016. The Tahoe Basin is the only marketplace that saw an increase in sales over last year. It wasn’t much however, going from a total of 43 sales compared to 40 a year ago. Considering all others were either equal to or below last year, we will take it. The basin also had another one of those big sales that skews our overall market numbers. A sale price of $22,865,543 is a big number. Love the fact it got down to $543 dollars. That did bounce our overall average sales price to $1,197,880 and median to $665,500. Because of the strength in the market inventory continues to struggle. We continue to be approximately 20% below the last year levels which is seen in the reduction of sales volume. It appears this trend may continue for at least the immediate future. Pricing may help the inventory increase as many sellers attempt to test market price levels. Those properties that aren’t selling will likely sit until price adjustments are made. We are seeing some of that already. Second Quarter Hits and Misses! 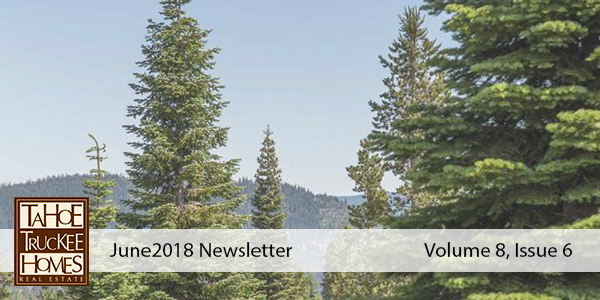 The second quarter was mostly hits in the basin and greater Truckee with sales volume being nearly identical to 2017, though considerably down from 2016 numbers. Starting with 2016 through 2018 the Tahoe Basin went 83, 91 and 92 while Greater Truckee went 150, 117 and 115. Squaw Alpine saw some fluctuation going 29, 24 and 20. The major miss compared to last year is Tahoe Donner dropping to 70 sales from the previous year of 88. That is a 20% drop. Interestingly, the current inventory in Tahoe Donner is down over 20% from a year ago too. Inventory did have a brief uptick prior to the 4th but, has already dropped below the numbers we were seeing at the end of June. That is unusual. We normally see inventory on a steady increase this time of year so that will be worthy of watching. All other areas are down on inventory compared to last year too. The basin is down only marginally while Greater Truckee and Squaw Alpine are down over 20% as well. Tahoe Truckee Homes had a great second quarter with an even stronger start to the third quarter. With a steady stream of listings and buyers, 2018 may end up being our best year ever. Once again, I have to thank many of you for your continued business, support and referral of others. We are doing nearly 90 of our sales from direct referrals or past clients. We have also added another agent to the roster. 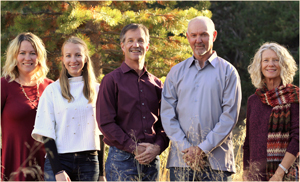 Jill Mitchell is a long-time Truckee resident with two children, holds a broker license and has a history in the real estate and mortgage industries. She is a great addition and perfect fit. Some of you who saw the view property outside of Tahoe City we were preparing to market in a previous newsletter. Well if you fell in love with it like I have, you may be too late. Prior to it going on the market we allowed an agent to bring clients by and the truly fell in love with it. Now it is not a completely done deal and since this is real estate, anything can happen. If you wish to stay informed on it, please let me know. It is truly a one of a kind property as you could ever find. The thought of selling it is genuinely bittersweet as we have a long-term history with it and our very close friends that owned it.